We do love a good mystery, but we also love a good history mystery! 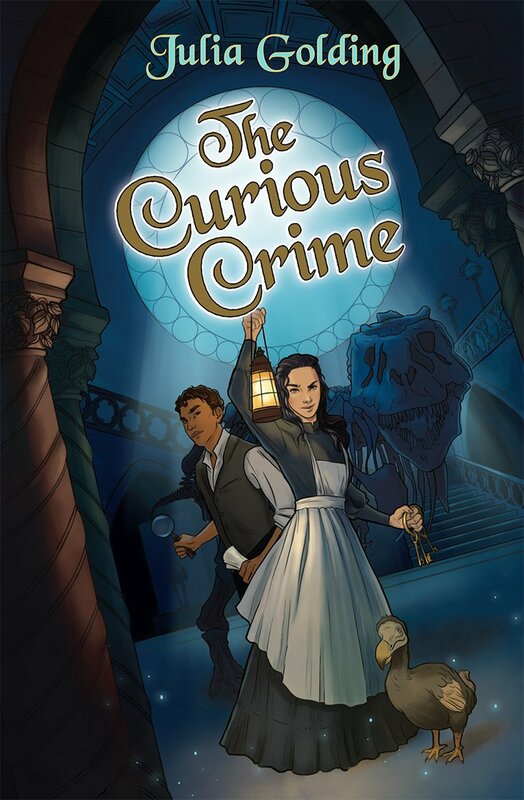 We've been taking a look at a brilliant selection of titles from Lion Hudson, starting with the fabulous "The Curious Crime" by Julia Golding (with brilliant cover and internal art from Laura Tolton). Young Ree discovers the unfairness of being a girl in a male-dominated scientific world, where alternative ideas are swiftly squashed (sounds awfully familiar doesn't it, unfortunately). Enter a fantasy island where Phil (heartily approve of the name!) the dodo and other unusual wild animals roam corridors, great halls and an underground network of passages of a magnificent museum and science academy. Ree is completely enchanted by the place, but is prevented from following her creative passion as a stonemason. 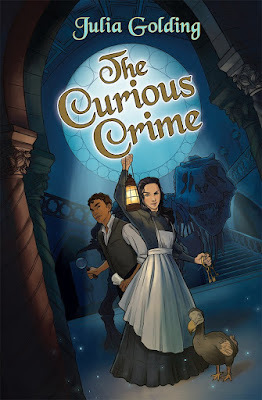 Confined to cleaning the vast halls as a maid, Ree is drawn into a murder mystery teaming up with Henri, a scholar determined to unravel the mystery. Perhaps Ree will finally find her calling, and clear their names for good. This is a fabulous historical adventure with a completely enchanting setting, and a strong female lead character that is instantly appealing. "The Curious Crime" by Julia Golding is out now, published by Lion Hudson. We've also been taking a look at Lion Hudson's fantastic history and science books for younger emergent readers who still love brilliant illustrations in their chapter books. 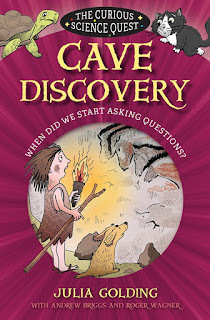 "Cave Discovery by Julia Golding, Andrew Briggs, Roger Wagner and Brett Hudson is a superb mix of fact and fiction as two engaging characters, Harriet and Milton. Harriet is Charles Darwin's pet tortoise, and Milton is Schrodinger's indecisive pet cat. Together the two embark on a time-travelling quest through history, starting with this first adventure way way back in the mists of time. Harriet and Milton look at the ancient cave paintings that have been found throughout the world. Did our ancestors know that they were pioneering artists? Did their work mean anything to them? Were they the first comic artists, drawing up scenes of their own daily lives? The Curious Science Quest series is designed for kids who love to ask questions and find answers in the most unexpected places. Harriet and Milton continue their time-hopping quest in "Greek Adventure". Moving forward in history to the time of Ancient Greece, and a time of many great scientific discoveries, as greek philosophers and scientists began to learn more about our world, and chronicle their findings. 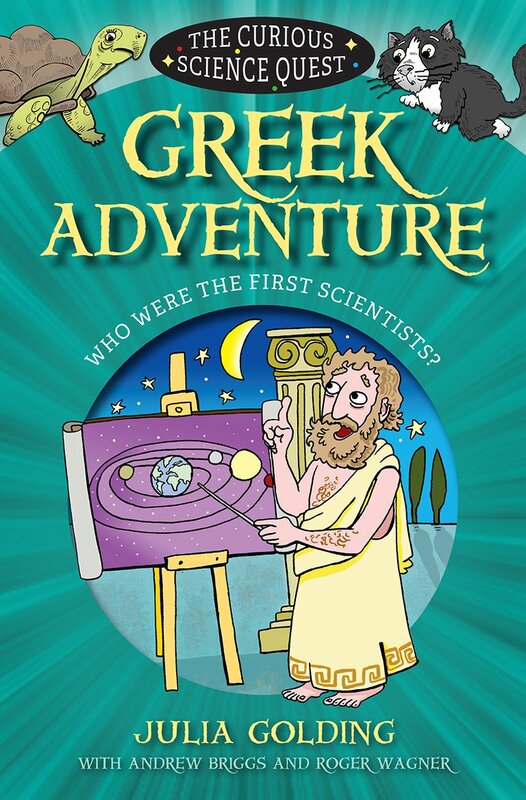 From Mesopotamian stargazers to deep thinkers, cast a vote in "Greece's Got Scientific talent" or perhaps meet mathematical genius Pythagorus! There's a lot of fantastic stuff woven into the story about how civilisations such as the Ancient Greece began to study the night skies, learning more about our solar system and beyond. Another brilliant title that kids will love, again illustrated throughout by Brett Hudson. Finally there's also a brilliant chance to learn more about a true Renaissance man! 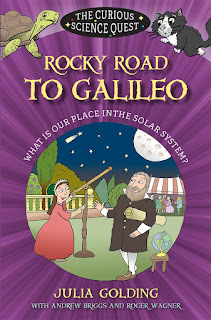 "Rocky Road to Galileo", again by Julia Golding, Andrew Briggs and Roger Wagner - with more fab illustrations from Brett Hudson introduces Harriet and Milton to a dazzling scientific personality who broadened our understanding of the heavens, and our place in the solar system - quite controversially so at the time. Harriet, Darwin's pet tortoise, and Milton, Schroedinger's indecisive cat, continue their time-travelling quest. On this adventure they investigate our place in the universe, travelling from the Islamic Golden Age to the Renaissance and meeting Galileo along the way! 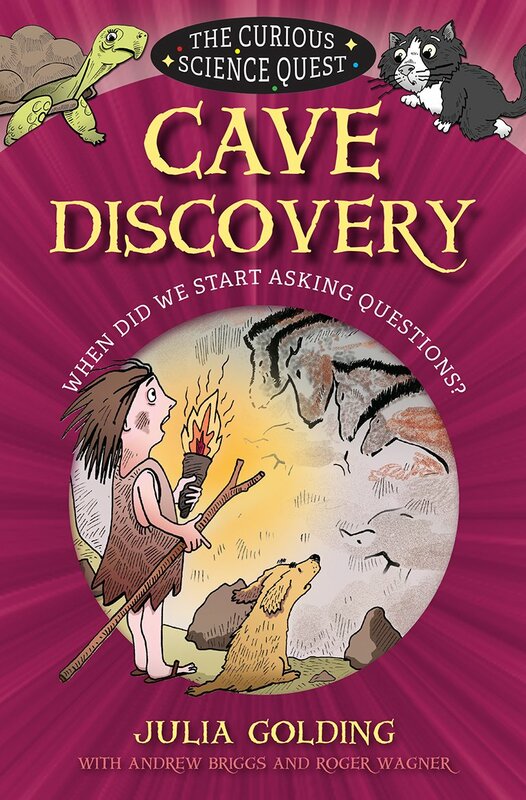 The Curious Science Quest looks at the evidence behind the BIG questions scientists have asked throughout history. But does science explain everything, or can faith help us find the answers? Join this fun, fact-filled time quest, and remember to bring some snacks! (Many thanks to Lion Hudson for supplying these fantastic titles for review).